SW Portland will see new bike lanes along stretches of SW 35th and SW 45th streets if Portland Bureau of Transportation (PBOT) staff has its way. As part of the Southwest In Motion or SWIM program to identify street improvement projects the City can afford, the bike lane projects have risen to the top. There are two common terms that won't be found in the many pages of documentation that accompany SWIM. Those terms are "wish list" and "quick fix". The prospects of the two bike lane projects getting green lighted are pretty good. 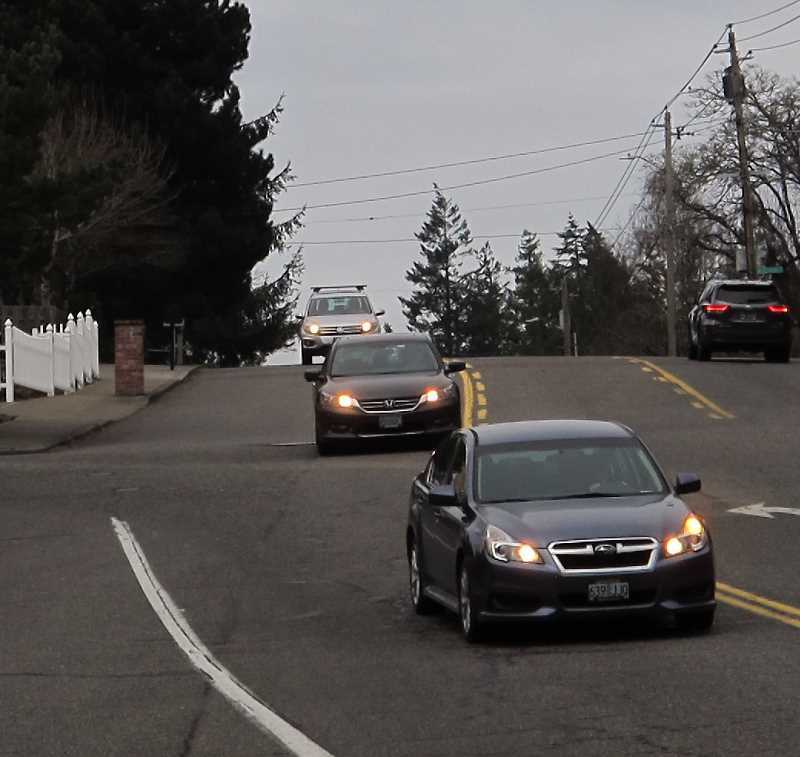 On SW 35th at the Taylors Ferry freeway exit, PBOT is proposing to restripe the road for bike lanes on both sides of 35th from SW Ridge Drive south past Jackson Middle school to SW Arnold. On SW 45th near Gabriel Park the plan is to reorganize the roadway from SW Pendleton south on 45th to SW Nevada, which is across the street from the entry to the park's parking lot. Hannah Schaefer with PBOT says that if approved work could begin almost immediately, " These projects take advantage of excess pavement space to connect neighborhoods to important community destinations with new bicycle lanes." In the second week of February a Stakeholder Working Group, which is prioritizing what work will be done on the streets of SW Portland, will hold the final public meeting before sending recommendations to the Portland City Council. That meeting will be held on Feb. 7 at Stephens Creek Crossing from 4:30PM to 6:30PM. The projects that make the cut come from a "wish list" developed over the last few years. "There is a limited amount of dedicated funding for the plan, allowing us to design and implement two bike lane projects, and about 20 crossing enhancement projects," wrote Schafer of PBOT in an e mail to the SW Connection. SWIM lists 51Bicycle/Pedestrian (BP) projects and 28 Restriping Projects (RP). Maps showing where the work would take place are included. Don't expect any major infrastructure projects like the recent Vermont Street improvement project to get the green light. As PBOT explains on the website for SWIM www.portlandoregon.gov/transportation/72017 "The final plan will identify a realistic 5-year active transportation traffic plan." Thus, "quick fix". In the case of one proposed projects - building a shoulder that makes it safer to walk or ride a bike on SW Vermont from Scholl's Ferry to SW 52nd - PBOT acknowledges "this is only an interim treatment". 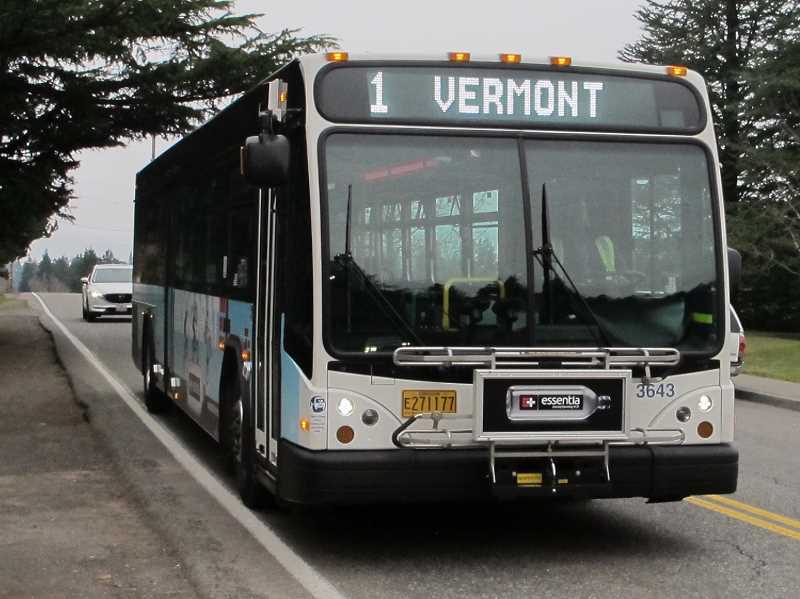 More substantial and expensive permanent improvements to that stretch of SW Vermont are part of a long-range City scheme. Here are two examples of notoriously treacherous stretches of major streets for pedestrians: SW 45th southbound from Multnomah Boulevard to Garden Home Road. This a short stretch of road from Bar 3 and Plaid Pantry to the Garden Home strip mall but is a major route for pedestrians. Proposed is a walkway separated from vehicle traffic and bike lanes on both sides of SW 45th. The cost range for doing so is listed as between half a million an $2 million. Then there's SW 30th heading southbound up a steep hill from Beaverton Hillsdale Highway to SW Vermont. This half-mile section of SW 30th from the bus stop on BH Highway to the so-called Hoot Owl Corner barely has room to walk on either side of the road. It's being proposed that this be made a Safer Shoulder Street, meaning there would be a physical barrier between pedestrians and vehicles. This is also estimated to cost between half a million and $2 million. Funds for SWIM projects come from a diversity of sources. The lion's share will come from revenues PBOT receives from the voter-approved ten cent gas tax hike. Funding will also come from the Bureau of Environmental Services, Transit system Development and Local Transportation Infrastructure Charges.